Fireworks are going off. Summer must be here. It’s hot, birds have slowed down so now I can too. It’s been a busy couple of months! 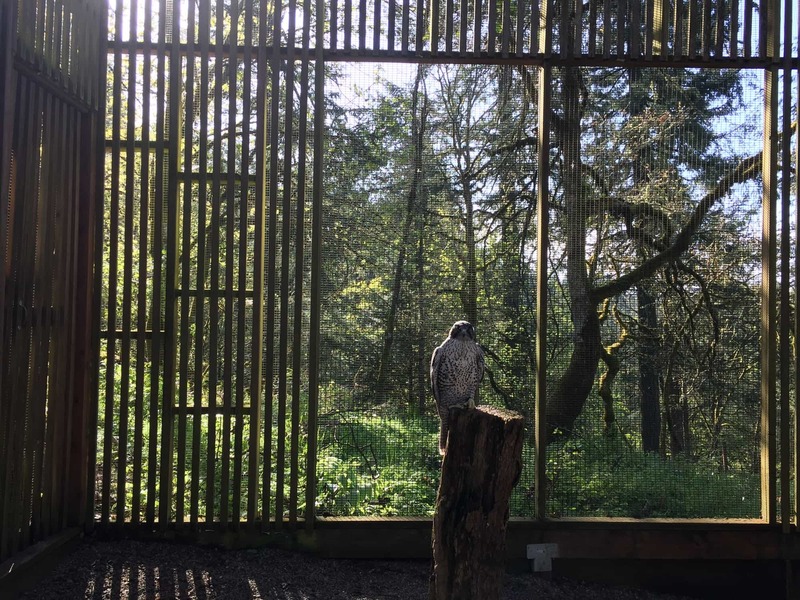 Back in May, Tomas and I took a weekend trip to Eugene for a Night at the Cascades Raptor Center. 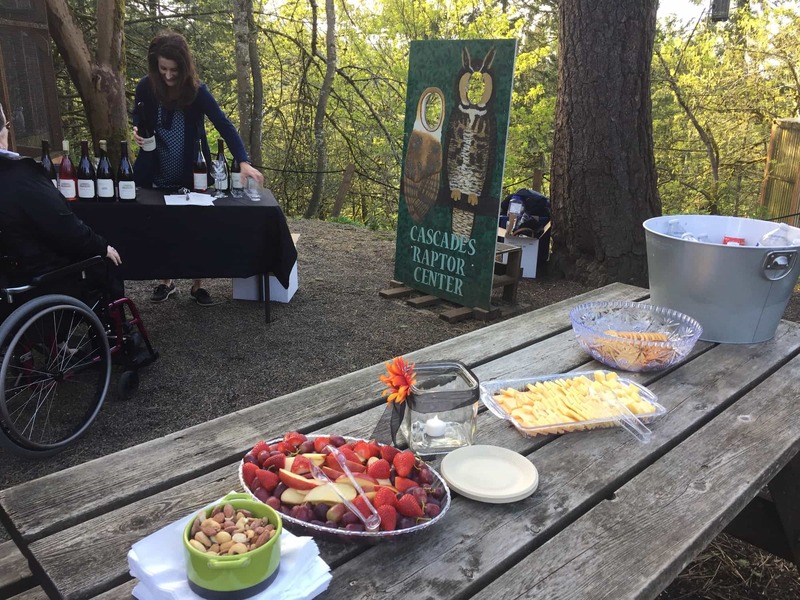 Wine, snacks, and owl entertainment provided for a small donation to help the birds? Shut up and take my money. The facilities are great. 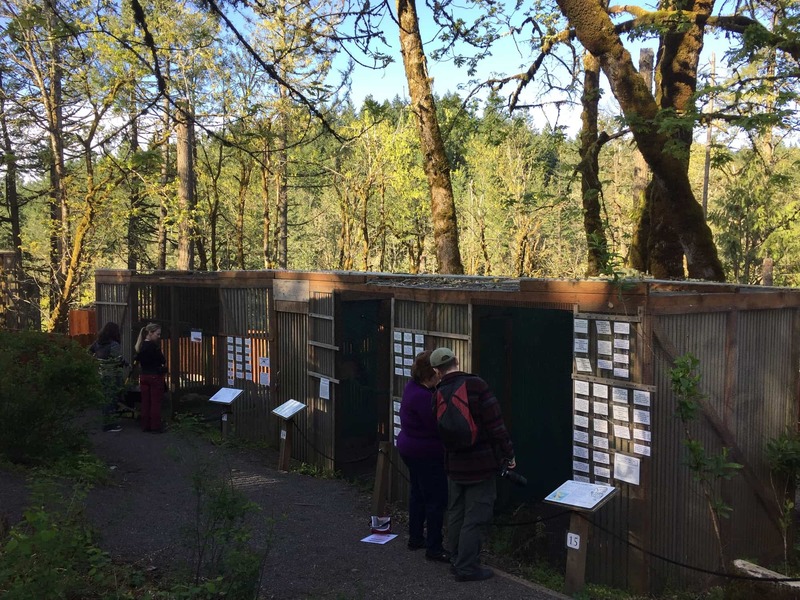 They are situated on a forested hill much like Forest Park in Portland. Yes, it was a little hard seeing these beautiful creatures in cages. But things happen, and sometimes animals need help. 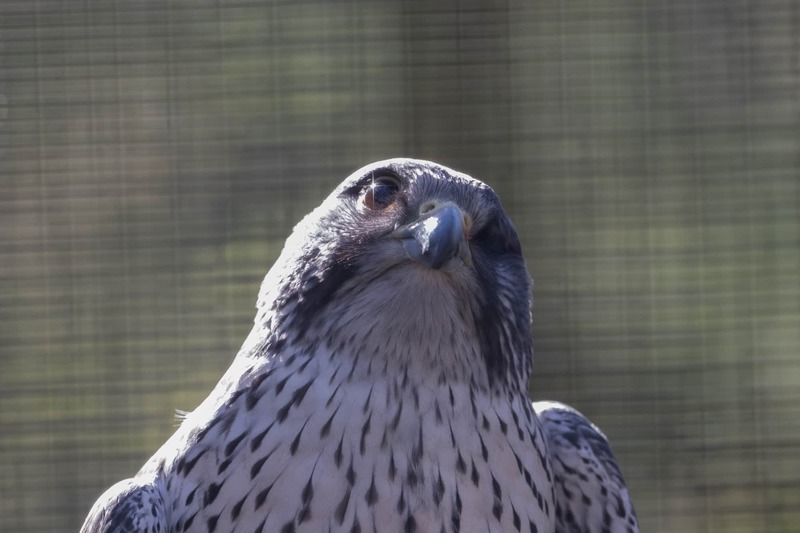 Like Nike, the Gyrfalcon that was found in 2005 with an infected eye that ultimately had to be removed. 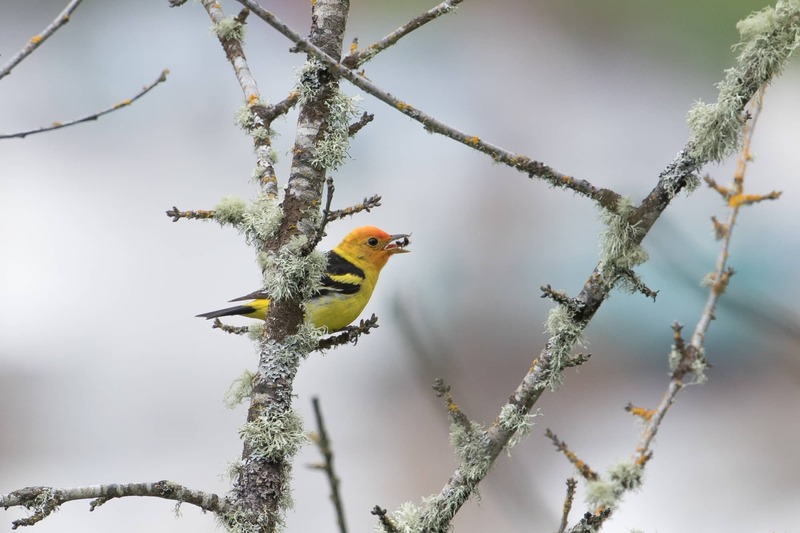 No longer able to hunt, Nike is cared for and works as an education bird. 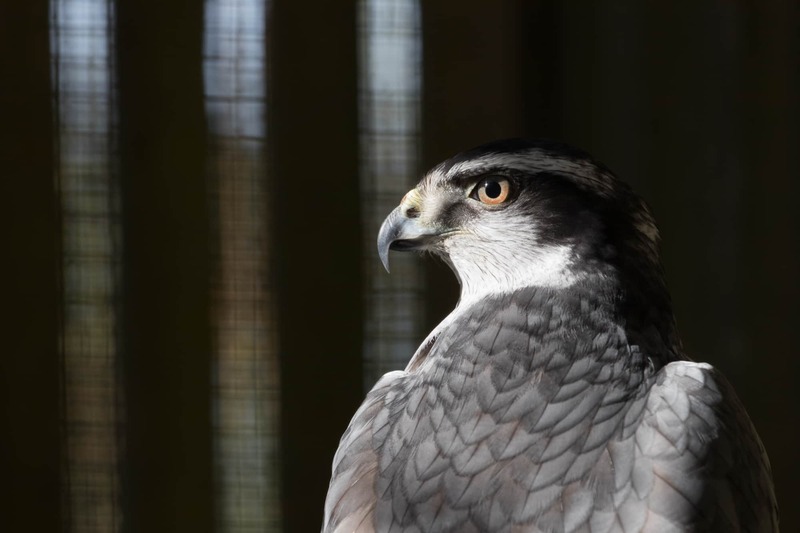 Same for the resident Northern Goshawk, Newton, who was imprinted when hatched and unable to release in the wild. The birds here were so cool. 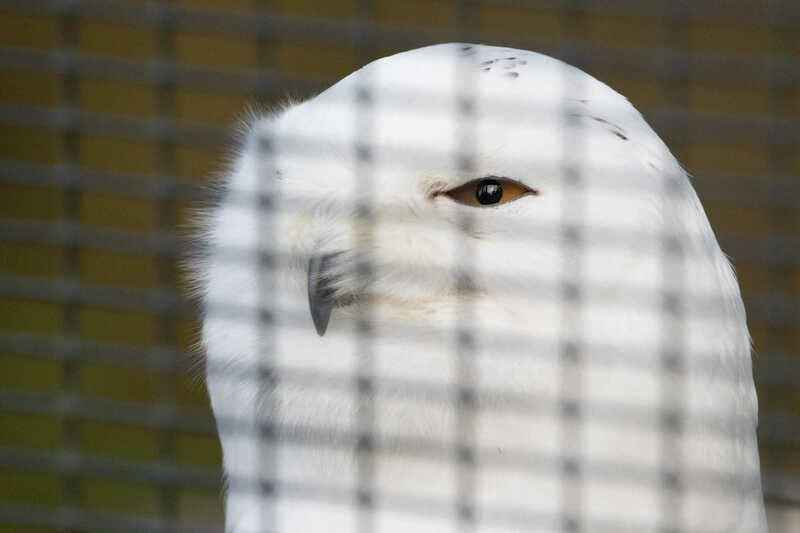 Eurasian Eagle-Owl, White-tailed Kites, Barn Owls, a 13-year old Long-eared Owl, American Kestrels, Burrowing Owl, and a freakin Snowy Owl named Archimedes. Gah. 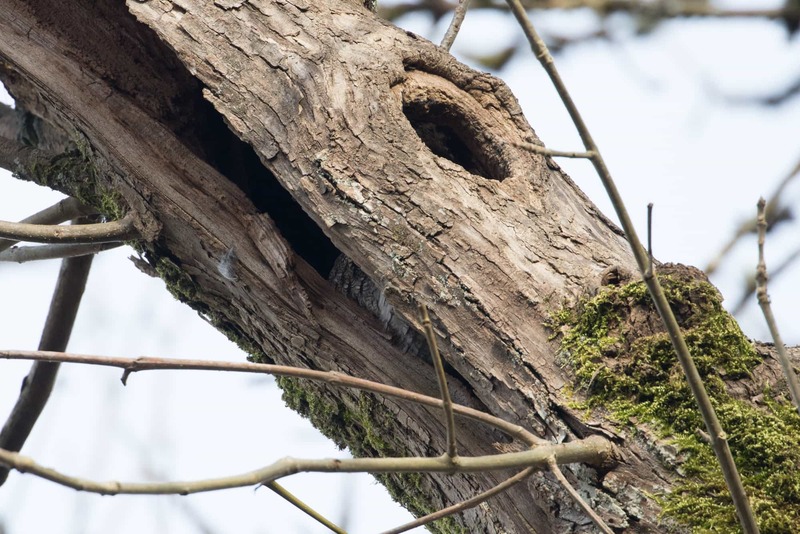 And it was making it’s bark-like hoot. Kit Lacy, the Education Director led us around the facilities. Here she is with a Burrowing Owl, named Ra. Later in the evening, we finally heard Ravi, the Western Screech Owl singing her ping-pong song. 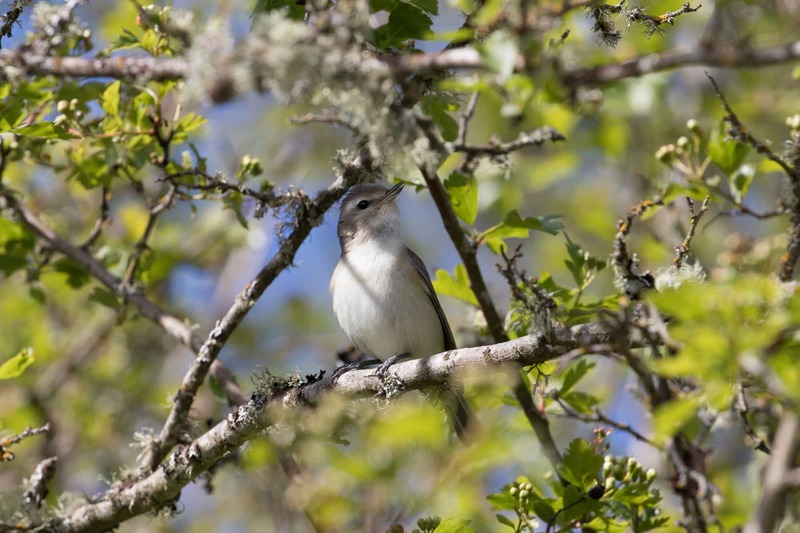 She was the lone survivor in a nest cut down by logging in 2005 and is now a favorite of the Education Team. I’m glad we finally made the trip out here, it was definitely worth the visit. 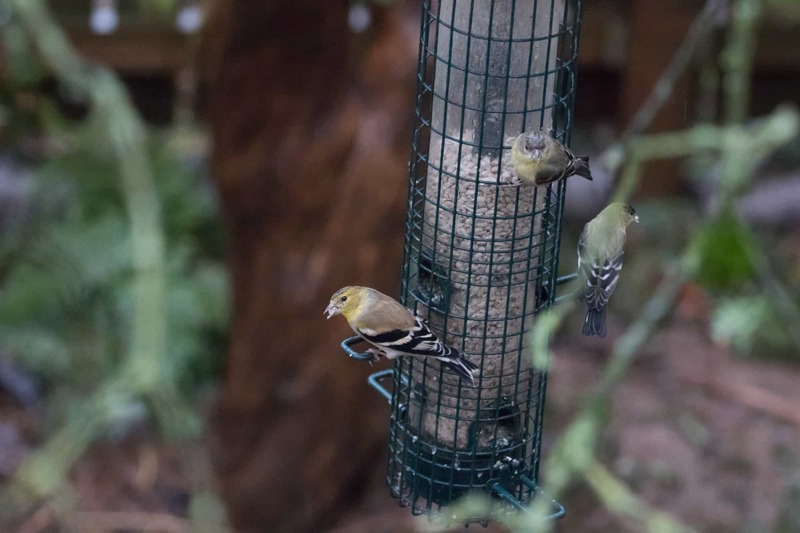 All of the animals are “adoptable” with funds going to the support and care of the birds. 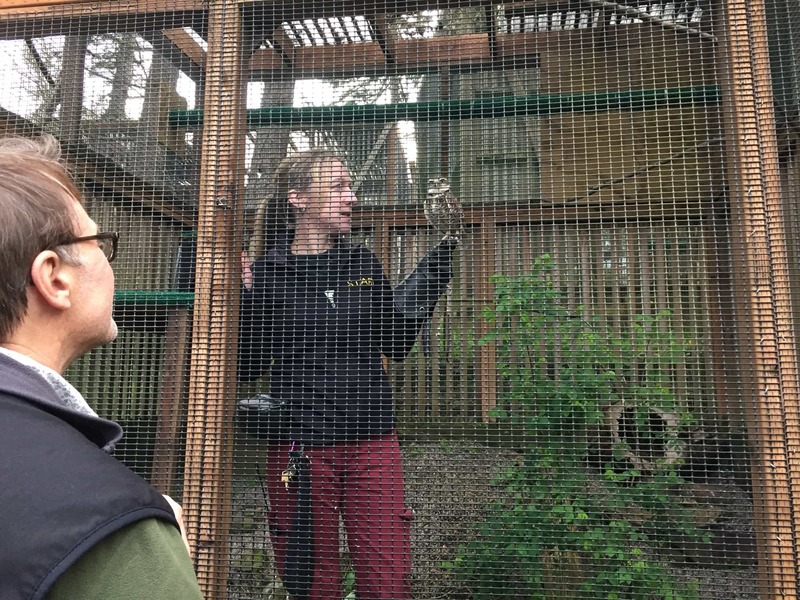 This visit was also a fun introductory as I’ve joined the Portland Audubon Wildlife Care Center volunteer team for baby bird season this year. It’s been one of the most altruistic experiences. And the most duck poop I’ve ever seen. Back to Eugene. 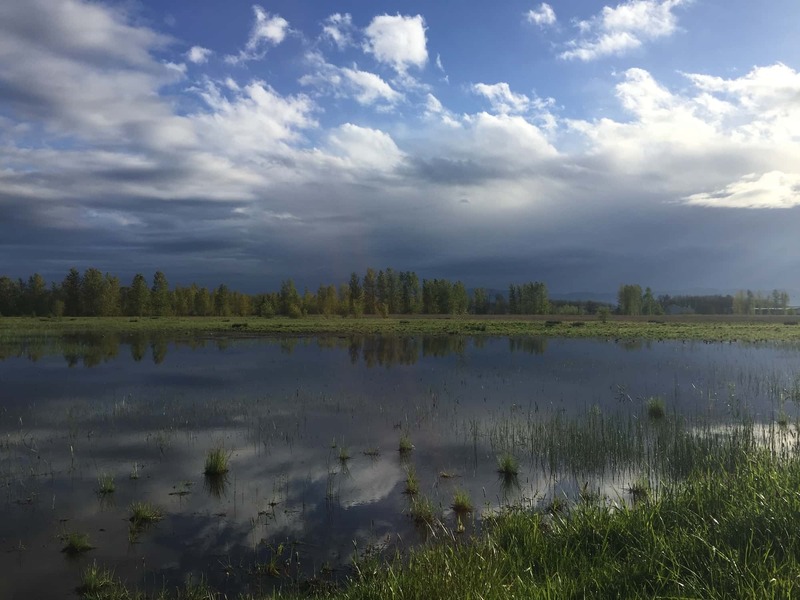 My local friend, Rachel, recommended checking out a few places including Stewart Pond and Skinner Butte. 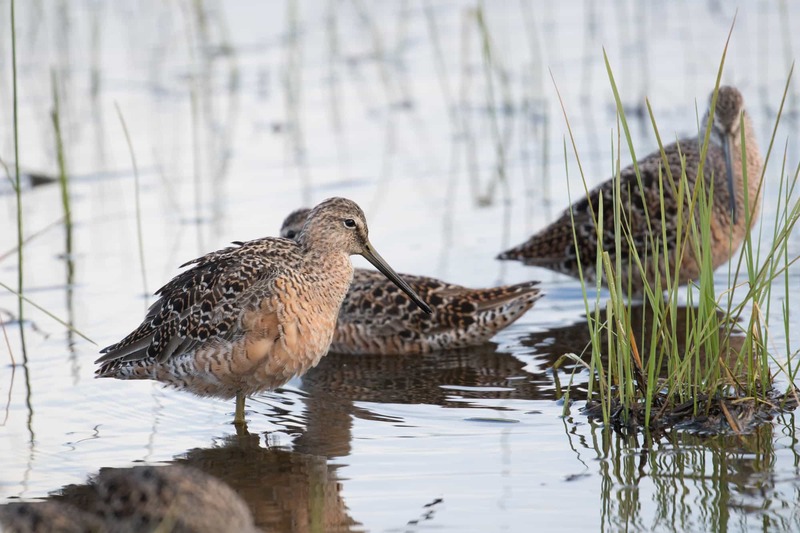 At the pond I found Long-billed Dowitcher (based on location). 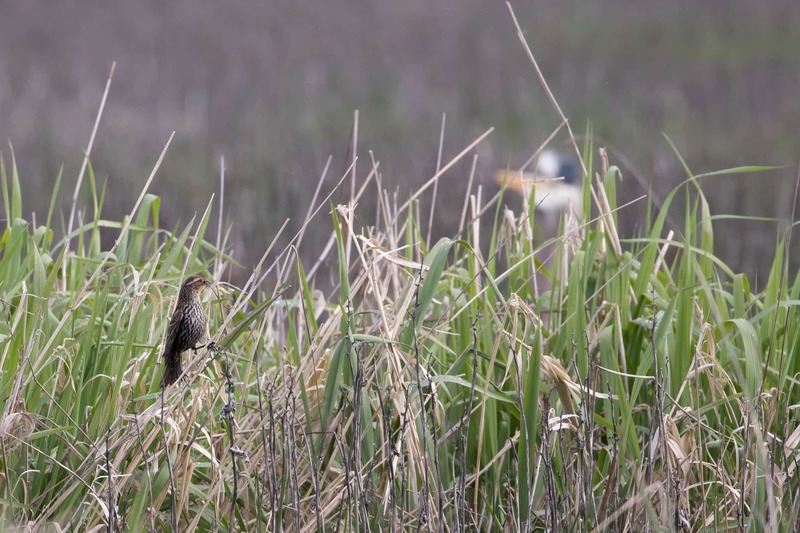 And nesting Red-winged Blackbirds stalked by Great Blue Heron. But I had the best time at Skinner Butte. It’s not terribly big, smaller than Mt Tabor, but I ended up spending almost 6 hours there. Too much fun. 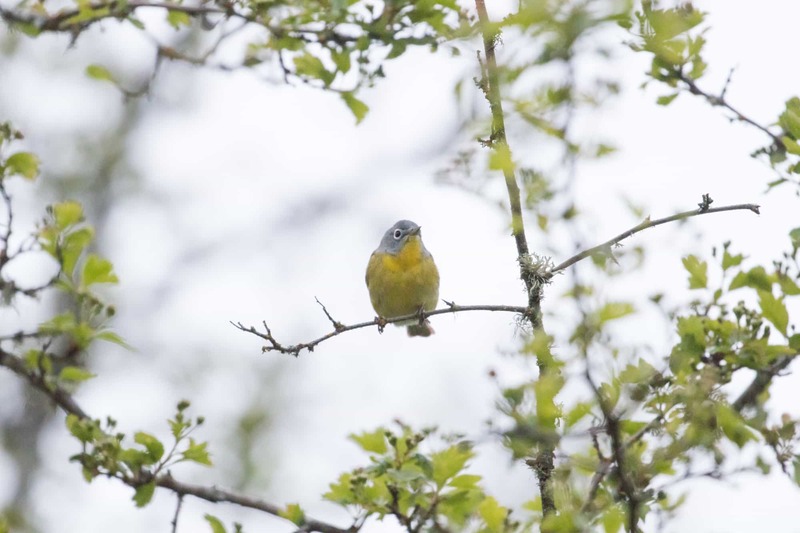 It’s a known stopover for migrating warblers. 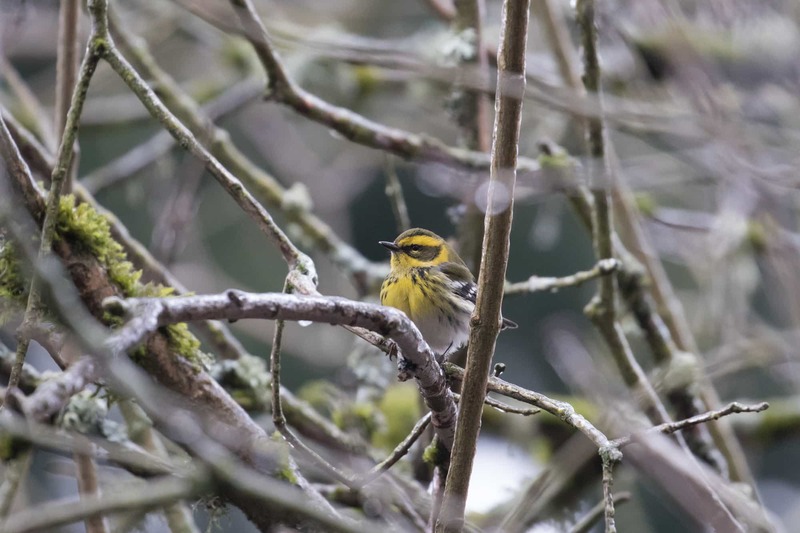 Warblers indeed. 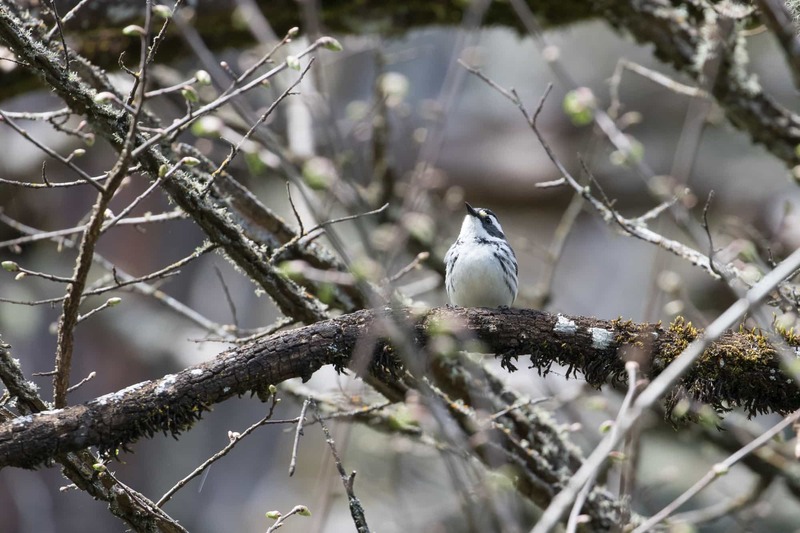 There were Black-throated Gray. 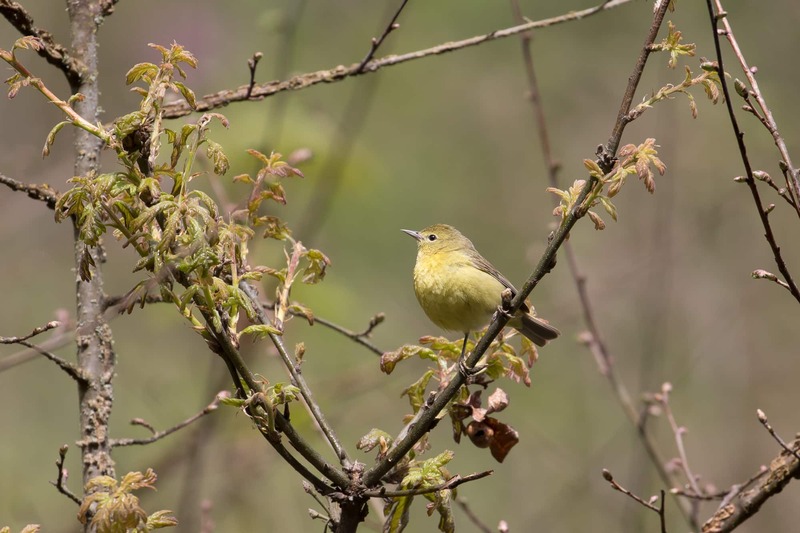 And gobs of Orange-crowned Warblers. To name a few. I also saw a MacGillivray’s but couldn’t manage a photo. 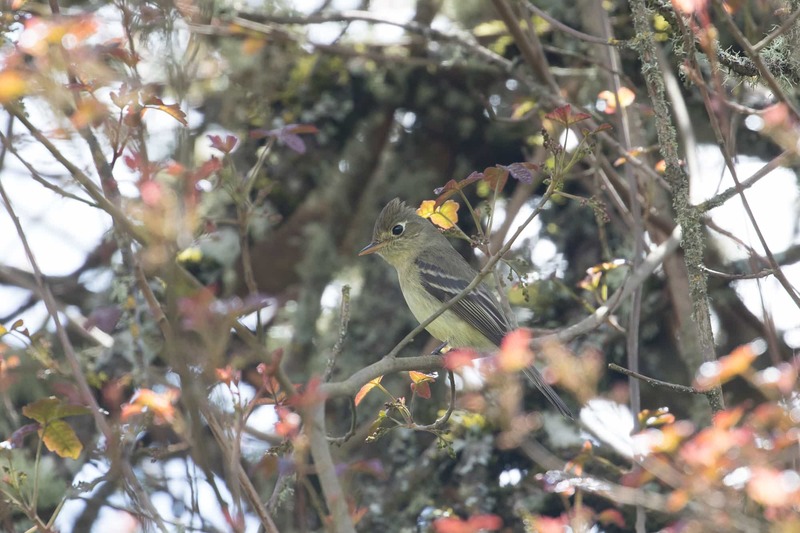 I saw a few other migrating birds including, Cassin’s Vireo and many Warbling Vireo. 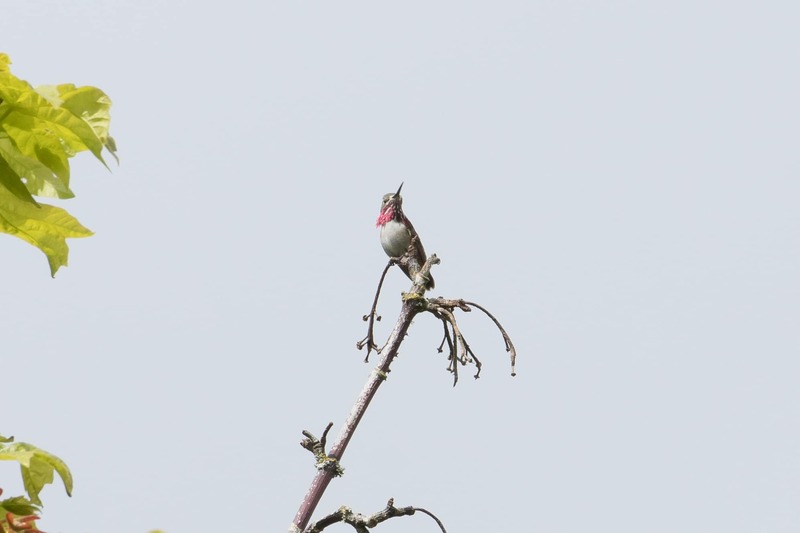 And a nice surprise Calliope Hummingbird! 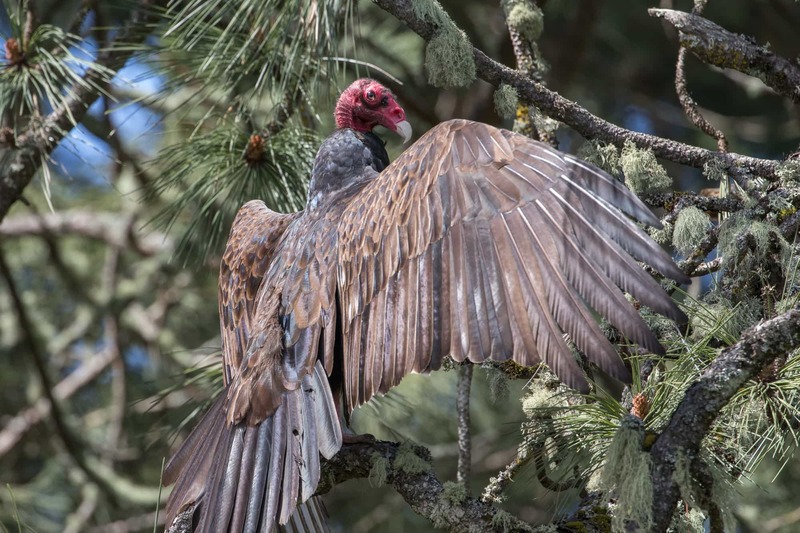 And Turkey Vultures sunning themselves. 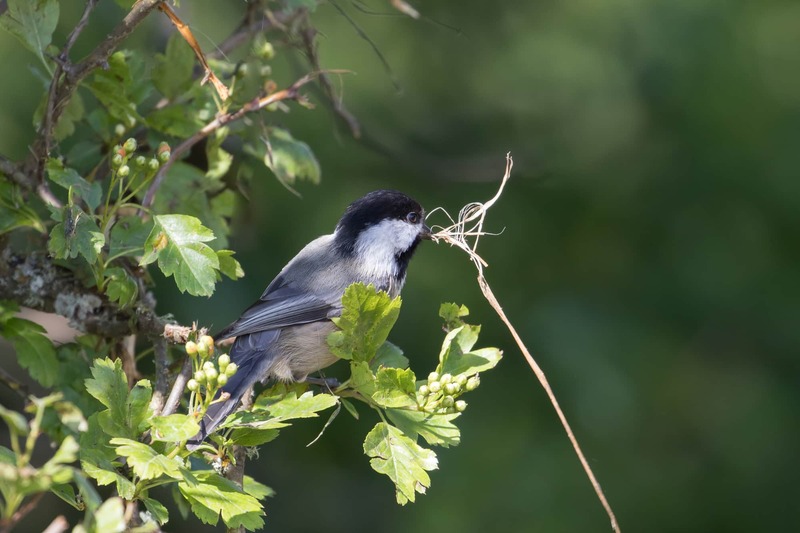 And I spent a lot of time watching Black-capped Chickadees collecting nesting material. 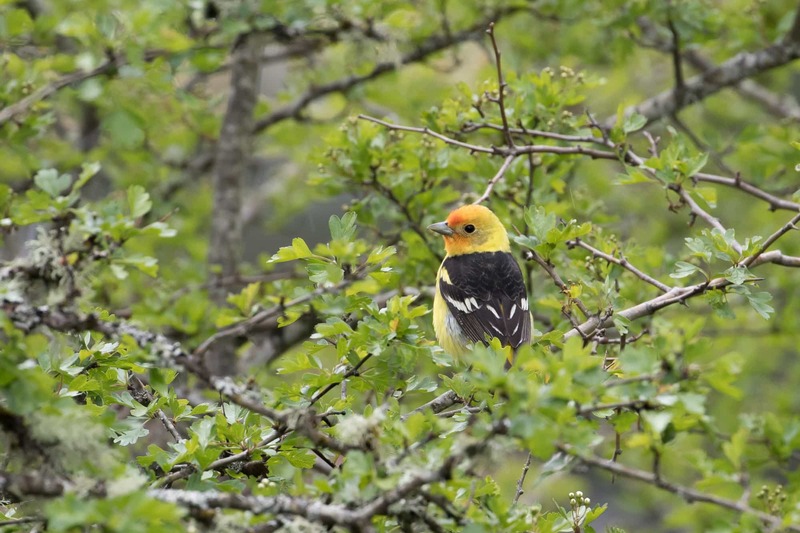 At one point I almost left, but then right by the parking lot, I spotted my FOY Western Tanager. It was near impossible to leave. 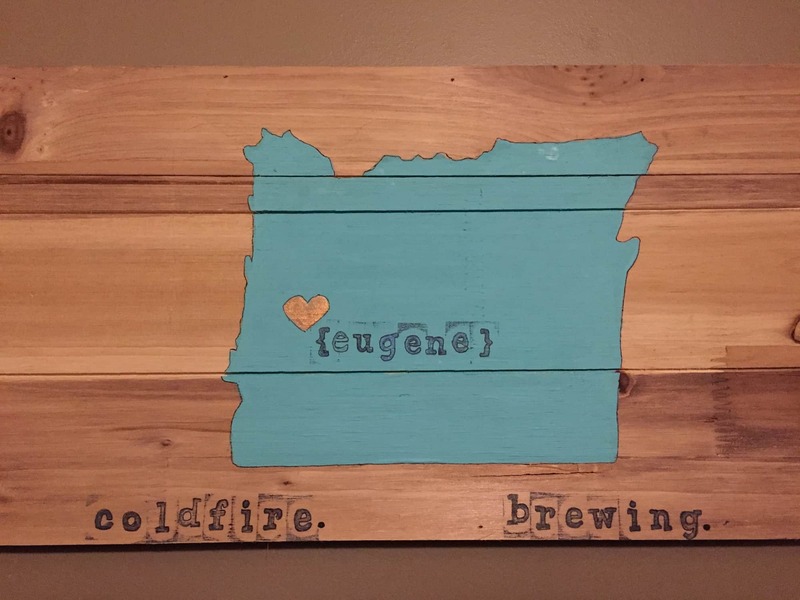 Eventually, after so many hours, hunger got the best of me and I met back up with Tomas for the best beers and burgers at Coldfire Brewing and its associated food cart Haybaby. Followed by a sunset swift watch at Agate Hall! 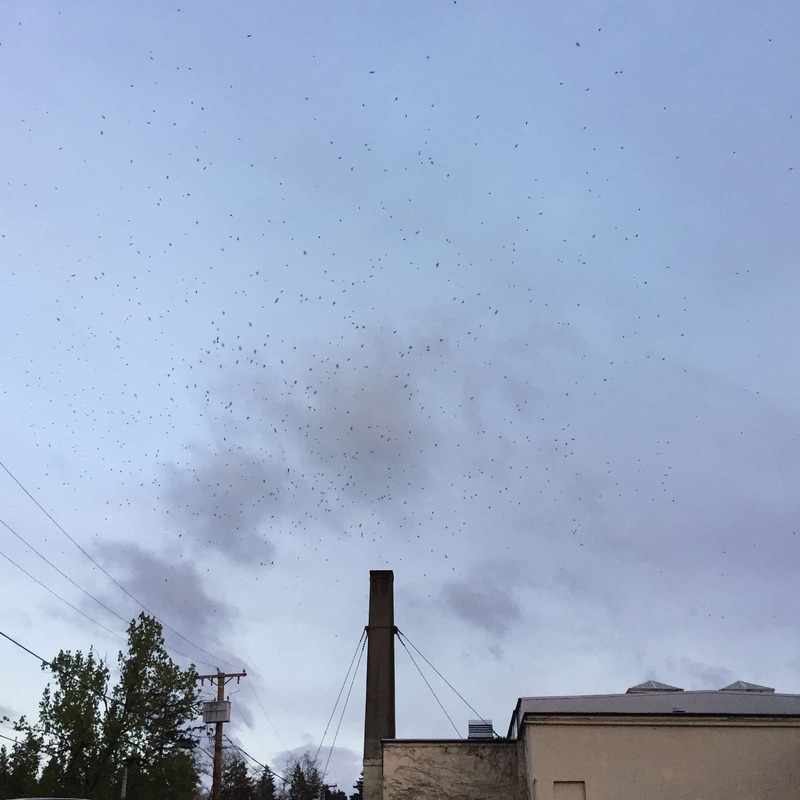 Apparently, the Vaux’s Swift population is more active in springtime in Eugene. Who knew? It was the perfect ending to a fulfilling trip! 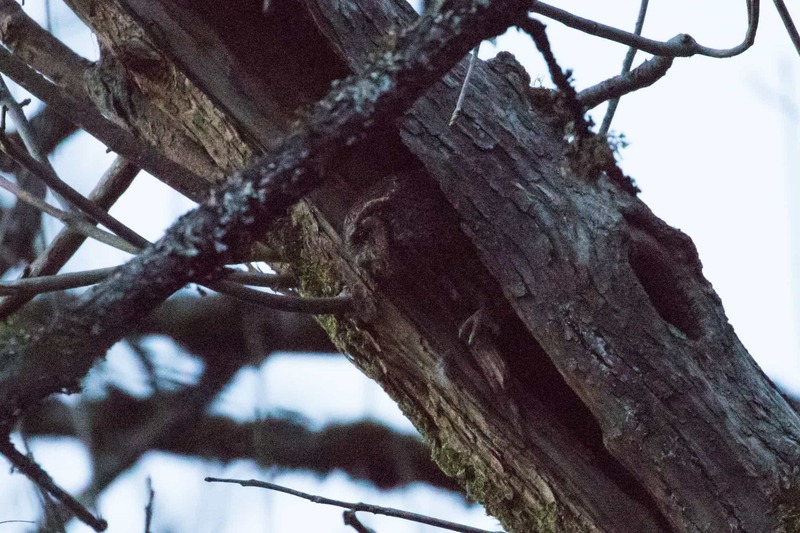 A majority of my February was spent obsessively looking for screech owls on Mt Tabor. I made about a dozen trips at various early-morning and late-night hours but all I could come up with is a lone Barred Owl calling early one the morning. Outside my five mile radius, however at Oak’s Bottom I struck gold. Or silver actually. 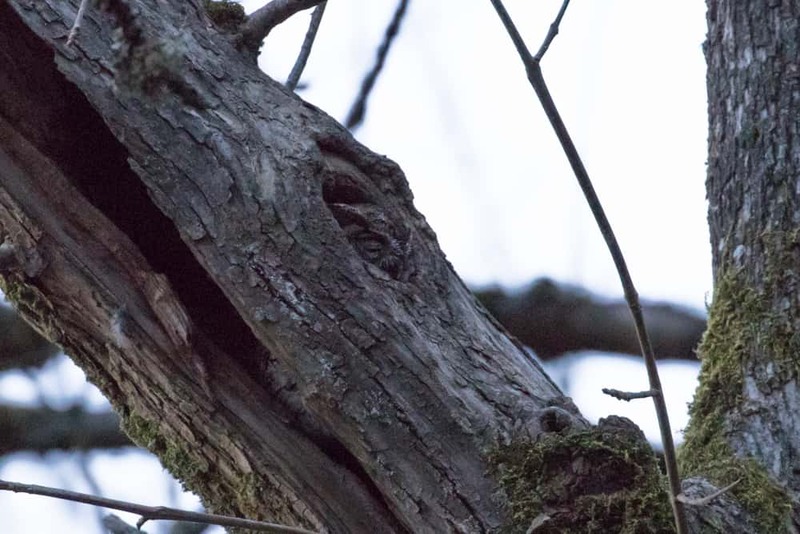 While hiking, I happened to notice a slightly silver feather pattern peeking out of the side of a tree that I was about 85% sure was an owl. 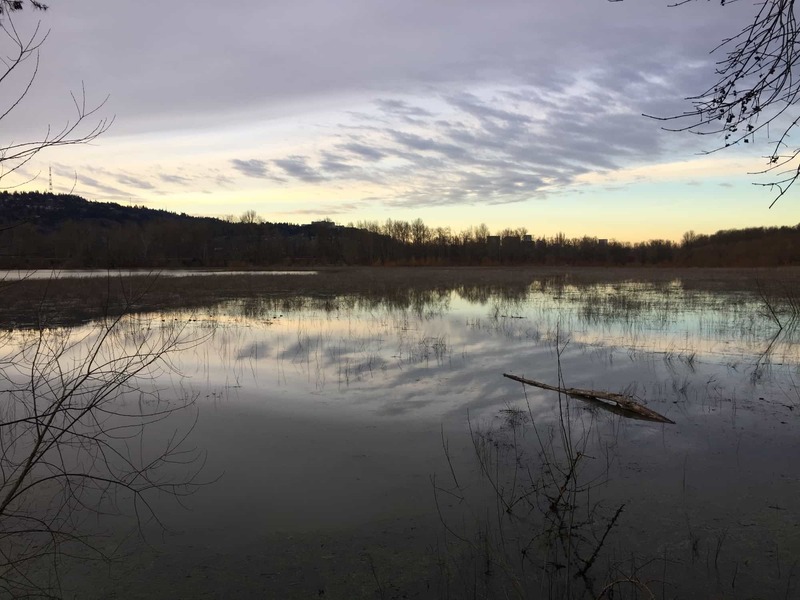 I was confident enough to return at sunset to see what happens after dark. 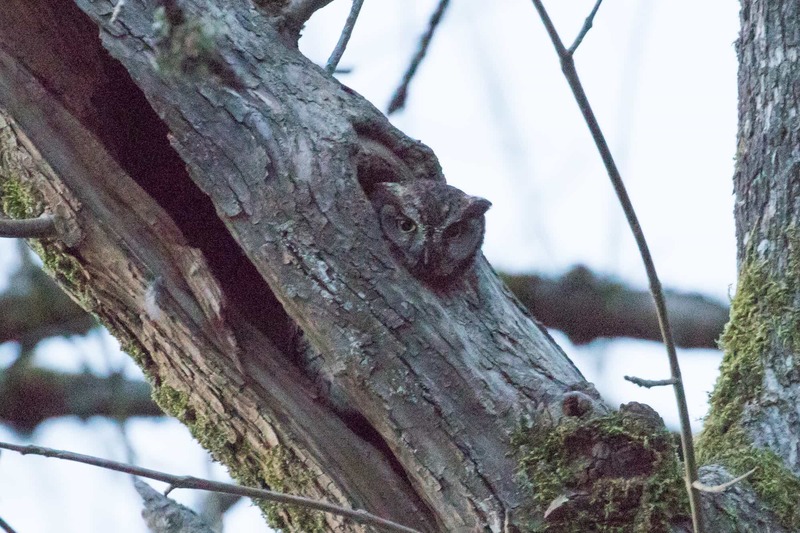 Right on cue just after sunset, a sleepy Western Screech Owl peeked its head out! It’s the first one I’ve found on my own. And only the third I’ve ever seen. 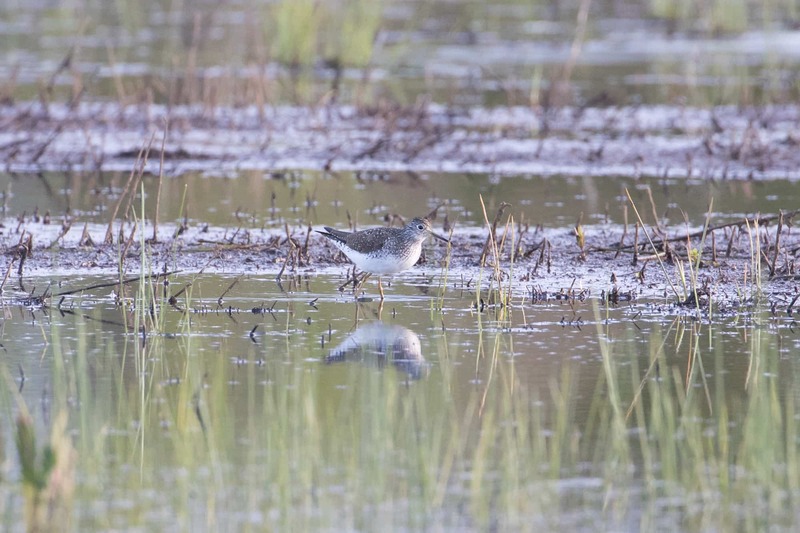 The first was at this exact park (in a different tree) two years ago on a Birdathon trip. It’s quite possible this is the same owl, or that owl’s partner. 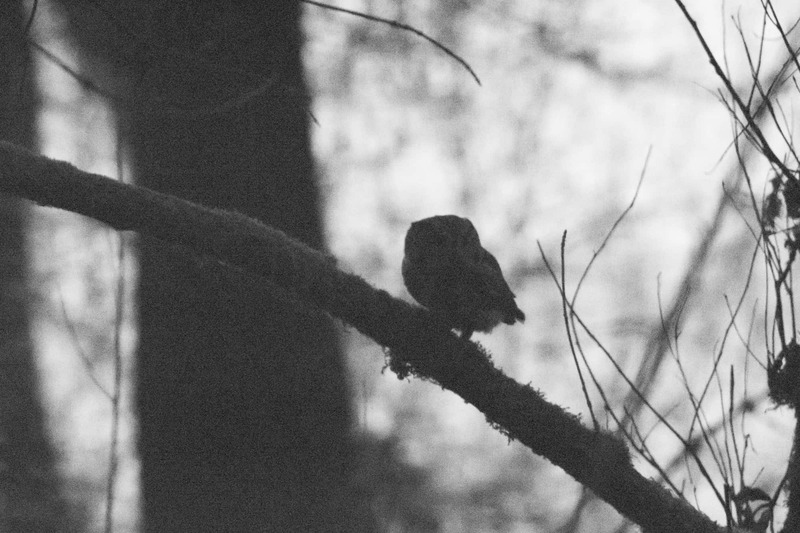 Minutes later as the sky darkened, the owl woke up and looked out further. I had brought Tomas along with me and together we watched this incredible creature wake up and survey its surroundings. Not wanting to disturb it, we decided to leave before it exited the trunk. Just as we turned around it flew out over our heads and perched on a low shrub nearby. 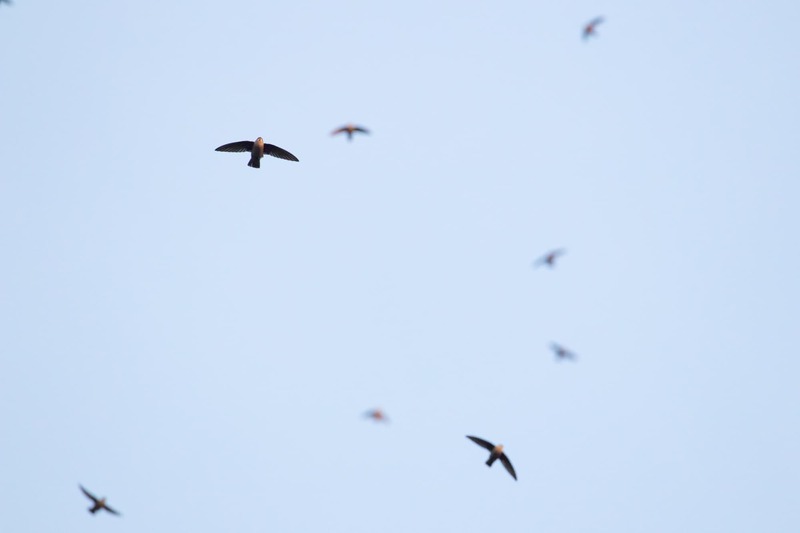 It called it’s ping-pong call for a few minutes (and another owl nearby responded!) before it then darted into the darkness to hunt. We were ecstatic as we hiked out. Then Tomas said – look! It was right next to us along the trail! So tiny, about the size of a soda can. In the dark we could barely keep track as it flew down to the water, and we heard a splash as it caught something (a fish? ), then we quickly lost track again. I felt incredibly lucky. 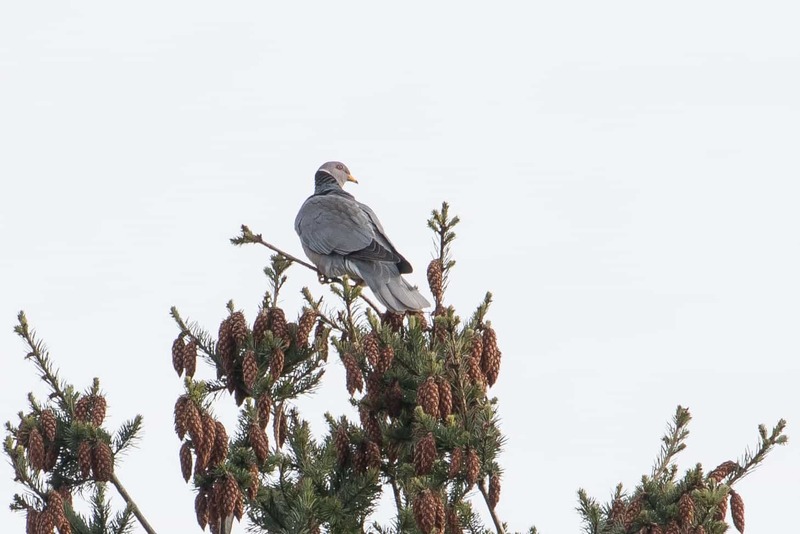 A daylight search on Mt Tabor turned up Fox Sparrow, Red-breasted Sapsucker, and Band-tailed Pigeon to add to my 5MR. 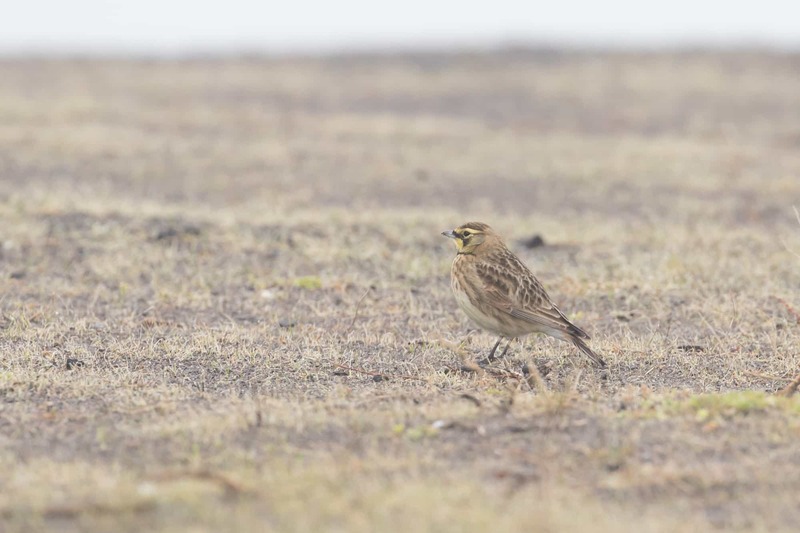 And on a trip to Broughton Beach I found Brewer’s Blackbird, Horned Grebe, Killdeer, and one early morning I was lucky to find a flock of Horned Lark. 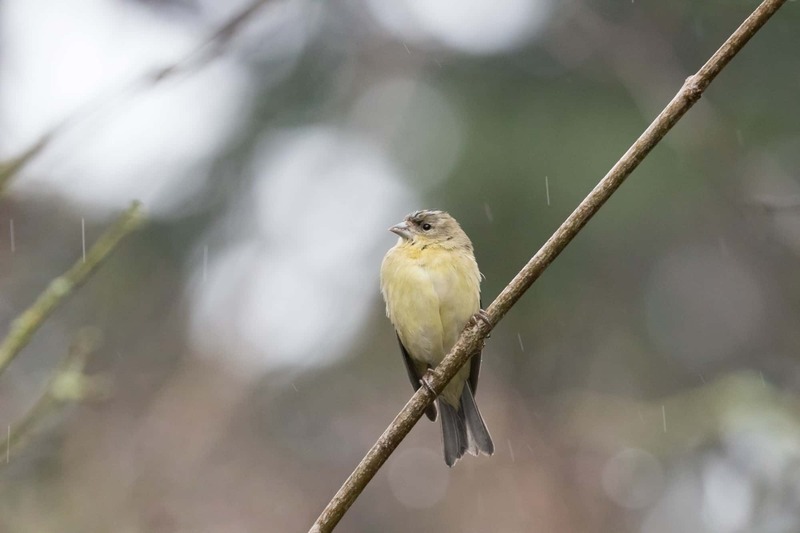 Back at home one rainy day I birded from our bedroom window and managed to see an American Goldfinch hanging with the Lesser Goldfinch. Sometimes it’s nice to bird from bed when it’s so dreary outside. 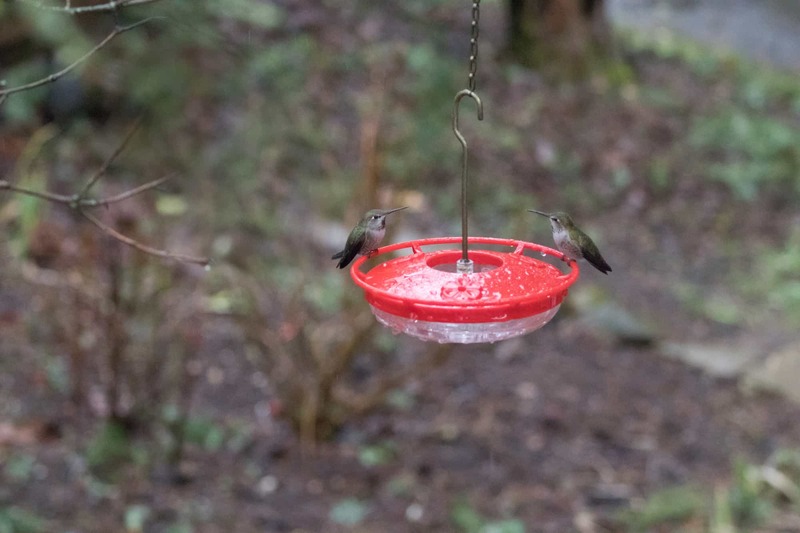 From the window I also saw a rare sight of two Anna’s Hummingbirds at the feeder at once. That never happens. 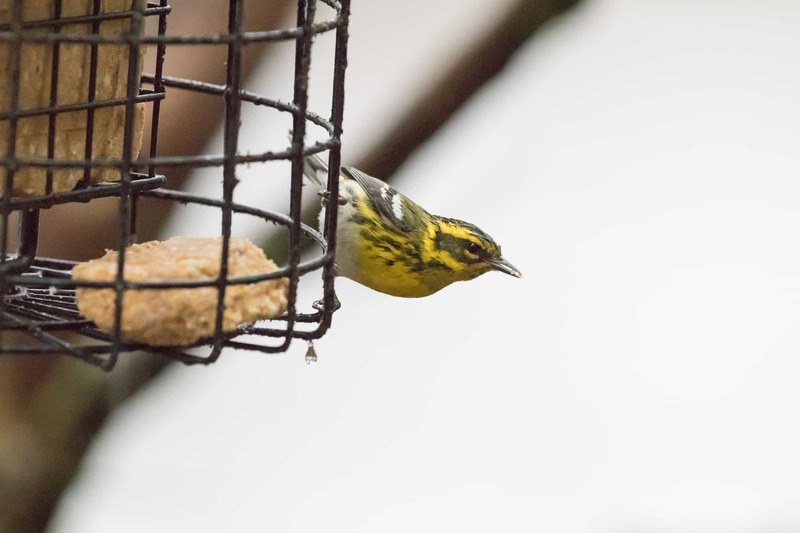 And did I mention my Townsend’s Warbler is back? They sure do make these rainy days brighter.